You can get a pro-like manicure without visiting the salon. The best thing is that you can get such manicure without much effort. Even if you are not the best at doing your nails there is still hope for you. The secret to a pro-like mani lays in your craft store. Get a bunch of tiny stickers that you like. Then take a look at the video to see how to recreate this cool manicure. The first step is super easy. Apply two coats of any nail polish you like. If you want the stickers to get all the attention use white or some other neutral color. Lock the nail polish with a clear top coat. Then use tweezers to stick the tiny stickers on your nails. Add a bunch of different ones. At the end of the day, this look is all about having fun. Some of the stickers may be hanging over the edge of your nails. In this case, grab your cuticle trimmer to remove the ones that don’t fit perfectly. Add beads to spice things up. Apply nail glue on several spots and place the beads on it. These tiny decorations will add life to your manicure. The final result is an intricate-like but super easy manicure. You can’t go wrong because all you need to do is glue the stickers on your nails. Additionally, add the beads on several nails. We guarantee you will get a manicure that looks like is done by a pro. Feel free to experiment with the base color or maybe add some other decorations other than beads. Don’t forget to have fun along the way! 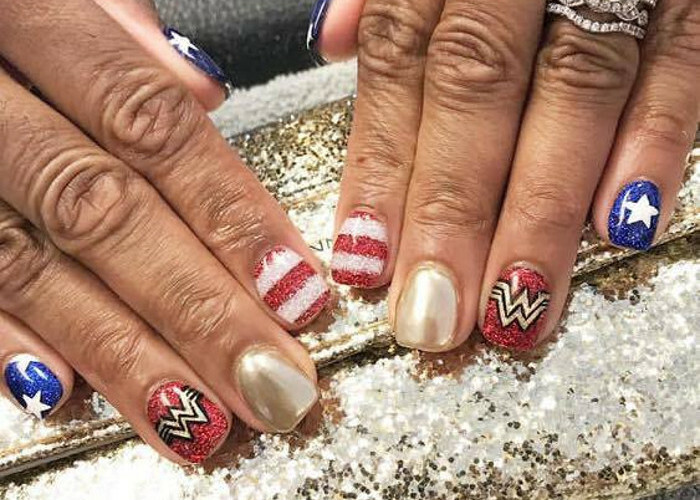 You might even get requests to do this mani on some of your friends and family.